To make your hair look instantly spruced up, you can get a new haircut or change your hairstyle forever. But there is nothing that can make you look as unique and different as colouring your hair. Yes, choosing the right colour for your hair can transform your entire personality. And that is probably the reason why a lot of women across the world are treating their hair with hair colour. But one thing that all of them probably understand is that colouring the hair is not all rainbows and butterflies. When you colour your hair, it’s not just the colour of the hair strands that changes, even your hair care routine sees a sea change. This changed routine needs to be followed for as long as the colour is there in your hair or even after that. You will have to switch to a different hair care routine even if that means bidding adieu to your favourite shampoo or an embracing a colour-protecting one. The reason why extra care is required for colour treated hair is because colour causes a great deal of damage to the hair and the scalp. Yes, a lot of people might not experience any such side effect, but more often these hair colour proves to be harmful for the health of the hair and the scalp. And that is why you should think before you take the plunge. If, however, you have already taken the plunge and have treated your hair with colour, then it would be wise of you to embark on a strict hair care routine. This routine is not just to keep your hair smooth and silky but also to protect your scalp from developing issues like dandruff. Now, you must be wondering if treating your hair with colour actually causes dandruff. Well, this is definitely not something one can say with a guarantee. But because hair colour is harsh on the scalp and hair, the problem of dandruff might arise. Dandruff is a problem which arises due to many different reasons and hair colour can definitely be one of them. Dandruff is characterized by shedding of excessive amount of scalp skin cells. Some of the most common symptoms include redness, flaking and chronic itching. Having dandruff on your clothes might feel embarrassing; but to be honest, it is not an extremely fatal disease. Now, that doesn’t mean you should reach for any dandruff shampoo you catch sight of. If you have dandruff and your hair is colour treated, then you will have to be extremely careful while choosing your dandruff shampoo. 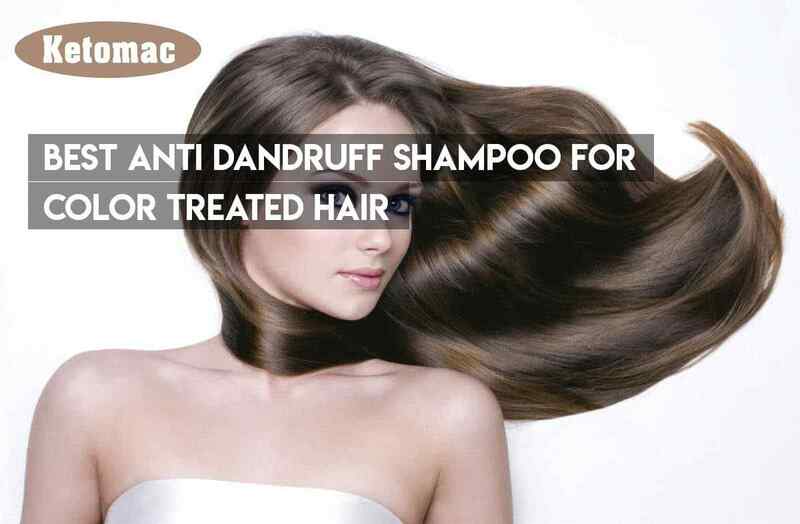 Go for Ketoconazole Anti Dandruff Shampoo in India that is meant especially for colour treated hair. The reason why they are a better choice than routine shampoos is because they are specially formulated for coloured hair; as a result, they do their work pretty well in a different manner though. When should you use a dandruff shampoo (the frequency)? If your hair is colour treated, then you should avoid using your dandruff shampoo on a daily basis. Using it two to three times a week is more than sufficient. On days when you are not using your dandruff shampoo and you feel like washing your hair, you can use ketomac shampoo which is best antidandruff shampoo for Women/Ladies. Moreover, when you use your dandruff shampoo, make sure you massage it on the scalp gently so that the scales on the scalp loosen and get rinsed off with water. What considerations to take into account? A dandruff shampoo can be harsh at times and to counterbalance its harshness, you can use a conditioner immediately after rinsing off the shampoo from your hair. Make sure the conditioner you use is also suited for colour treated hair. Otherwise you won’t be able to reap great benefits from cleansing your hair with a colour-safe dandruff shampoo. You should also make sure that there is no tar in the dandruff shampoo that you are using. Tar based dandruff shampoos are not good for colour treated hair. The reason why such shampoos are not advisable for coloured hair is because tar might cause an ugly discoloration of the hair. If you have already used a good dandruff shampoo for several weeks without any improvement in your condition, then it is advisable for you to talk to your doctor. You might be in need of a topical steroid for the treatment of the problem. The best you can do to prevent this problem from getting worse is avoiding scratching the scalp. Scratching could irritate the skin even more, which in turn will expose it to harmful microbes. The best dandruff shampoo for color treated hair in the market is Ketomac. 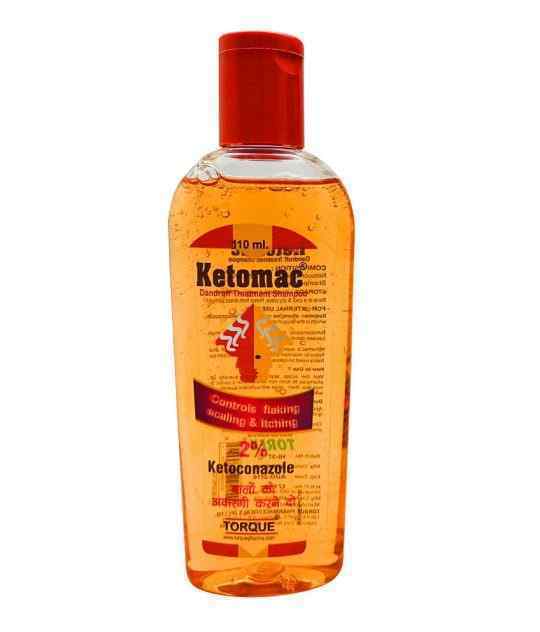 Ketomac is a high quality medicated anti dandruff shampoo having a powerful compound, ketoconazole in it. Ketoconazole is a synthetic broad spectrum antifungal agent that helps in the removal of dandruff effectively. Start the treatment with frequency of two times a week for a month and then you can use it once a week. This is an effective shampoo and will definitely help you get rid of dandruff.